Are these the best airline uniforms ever? Do you think they are the coolest things in the skies (and some on the ground)? 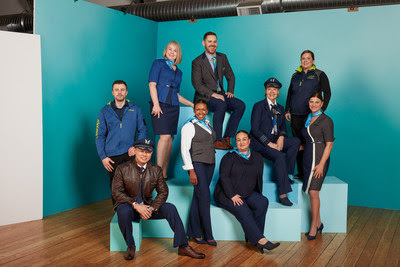 Rapidly expanding Alaska Airlines has teamed up with fashion designer Luly Yang to produce a brand new look for the airline's uniformed staff. Yesterday the carrier showed off the new look work clothes, which is, we're told, modern and West Coast-inspired. 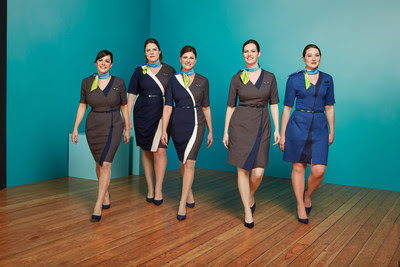 The airline chose to unveil its new collection on a runway, near a runway at the airlines' cavernous hangar at Seattle's Sea-Tac Airport, using actual employees as the models for the new threads. All in all there are more than 90 garments and accessories and the design, which has been more than two years in the making, will eventually clad the 19,000 Alaska, Virgin America and Horizon Air uniformed employees starting in late 2019. "Luly's designs perfectly capture our fresh, West Coast vibe and we're absolutely thrilled with the collection," Sangita Woerner, Alaska Airlines' vice president of marketing said. "Like our refreshed brand, launched in early 2016, our new uniform collection includes bright pops of color, clean lines and stunning finishes, creating a stylish yet approachable look." Echoing Woerner's remarks was Justin Fitzgerald, a flight attendant who worked for Virgin America and now Alaska Airlines. "The Virgin America uniform has been such a sleek and modern look that I thought it would be so hard to top," he said. "Seeing Luly's designs brought to life has been super exciting! Ms. Yang has taken a lot of our input and has created a very cool, classic yet modern, West Coast vibe!" 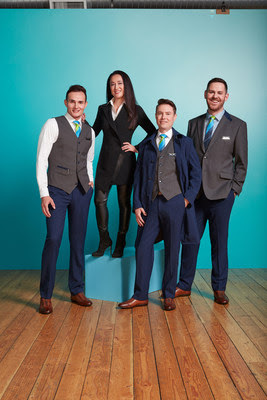 High praise indeed, but it's all finalised yet, the uniforms make their official operational debut next week, with around 130 employees wearing testers – including flight attendants, pilots, customer service agents and lounge employees. They will all be putting the new uniforms through their paces for the next 60 days. Luly Yang opened her first studio/boutique in the downtown area of Seattle as far back as 2000 and today, she has an international reputation as an incredibly creative and prolific designer. Ms Yang has a far-ranging portfolio from red carpet couture gowns to bridal collections, from cocktail attire to funky bespoke menswear as well as uniforms. Yang's Luly Label ready to wear, cashmere knits and leather accessories are available online and in her showroom for the general public. She is also known for her timeless design solutions and signature fit, cultivated over years of experience. Her past career as an architectural graphic designer inspired her mantra of the perfect marriage between "Form and Function." have been over two years in the making! visits to understand the features different workgroups wanted to see in their new uniforms. Overwhelmingly, the top requests from employees were more pockets and designs that look great on all body shapes and sizes, as well as performance over a range of climates. The collection is designed to be layered so that employees can self-regulate comfort while working in the freezing temperatures of Barrow, Alaska, to the balmier weather of Mexico. Using this research and information she gathered from face-to-face interactions with employees across the system, Yang spent two years designing and creating a signature silhouette for the Alaska program. Her focus on fit and function enabled additional touches including water-resistant materials, activewear fabrics, longer shirt tails that don't untuck from skirts and trousers, and flexible textiles that move with the body. "Working on the Alaska Airlines custom uniform program has been one of the most complex and rewarding challenges of my career," said Yang. "With 45 sizes per style and 13 very distinct workgroups, this was the ultimate puzzle to solve. My hope is that employees feel that they were heard throughout this process, love the collection and wear their uniforms with pride." Working in close partnership with Yang, Unisync produced custom fabrics, buttons and signature accessories for the new program working to ensure the garments provide optimal on-the-job performance, while also reflecting Alaska's refreshed brand. 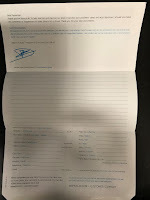 "Unisync is thrilled to be the selected partner of Alaska. We're looking forward to contributing our experience and expertise and providing the best program possible for Alaska's 19,000 employees," said Michael Smith, Unisync's senior vice president of service and supply chain.